BASF New Business GmbH (BNB) has acquired all the shares of Advanc3D Materials GmbH in Hamburg and Setup Performance SAS in Lyon. Advanc3D Materials offers advanced, tailor-made plastic powders and formulations for selective laser sintering (SLS) together with process know-how. Setup Performance, which operates a production site in Lyon, is Advanc3D Materials’ most important partner in the development and manufacture of SLS materials. BNB is integrating both companies into its subsidiary BASF 3D Printing Solutions GmbH (B3DPS). The acquisition is an important step forward for BASF in its expansion in the field of 3D printing. “Following our acquisition of Innofil3D last year and the consequent strengthening of our market presence in plastic filaments for layer extrusion we are now in similar fashion expanding our market access in the area of powder bed fusion. The portfolio complements our existing range, being perfectly suited to products such as polyamide 11, polyamide 12 and polypropylene,” says Dr. Dietmar Bender, Vice President Manufacturing & Technology at BNB. In April, B3DPS introduced a new PA6 material for selective laser sintering that can easily be processed on most SLS machines commonly used in the market today. Advanc3D Materials is already well established in the market, offering a wide range of products as well as comprehensive market and application expertise. A consistent, finely ground powder, UV stabilizer additions and good free flow are among the elements required to enable the materials to be used in 3D printing. Setup Performance is Advanc3D’s contract manufacturer and development partner. The company’s product & process development and production site in Lyon is noted for its high efficiency and short development cycles for new products. 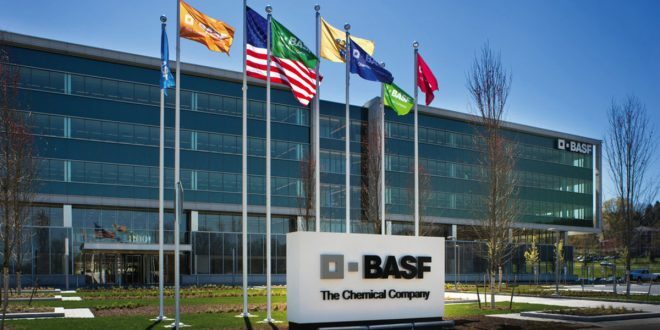 “We are looking forward to being part of BASF. This will enable us to expand and further develop new formulations for the industrial additive manufacturing activities of our customers all over the world,” explains François Minec, Managing Director of Advanc3D. The production of individually formed plastic parts through additive layer manufacturing by a 3D printing process is becoming increasingly important in the industry. One production method is selective laser sintering (SLS). Using a three-dimensional structural design, a laser draws the shape of an object in a powder such as polyamide. The material hit by the laser melts and the required 3D object is produced layer by layer. Up until now, many complex plastic parts had to be produced by injection molding. The significant advantages of 3D printing include lower costs in small series and much faster production, because no mold is required. Parts manufacturers can thus react much faster to customer requests and meet individual customer requirements much more easily.